Summer festival season means just that, festivals coming in all shapes and sizes. Over the last two weeks we’ve shown you our top picks for the smaller, “boutique” festivals, as well as those looking good in our home turf of Holland and now, the final list…the 10 unmissable international festivals of 2018. Here, we look at 10 of the large scale festivals we are most looking forward to. Spanning amphitheatres, castles, fortified cities, pristine beaches, and more, there 10 events are the top of the season’s selections. Following two successful editions, Glitch Festival is coming back with it’s third and biggest edition to date, gathering on the sun-drenched Mediterranean island of Malta. Fromrooftop pool parties to a secret, ancient vault, and its diverse quality line-up includes Nina Kraviz, Jeff Mills, Floorplan, Rødhåd, Motor City Drum Ensemble, Hunee, Amelie Lens, Charlotte De Witte & Dax J. This Belgian festival, located at the stunning Castle of Ribaucourt is a full on green event with several initiatives, from low consumption lighting to recycled tents across a 10 point plan. 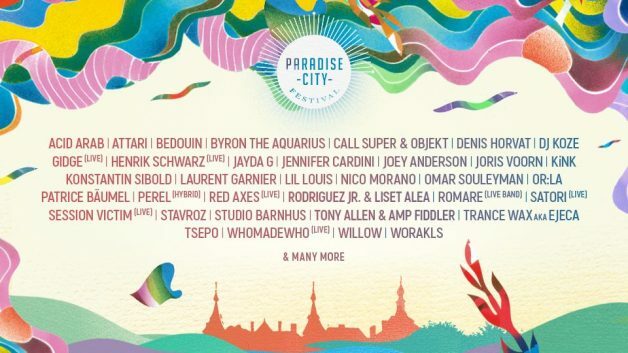 Oh, and the lineup featuring Laurent Garnier, DJ Koze, KiNK, Or:la, Call Super, and more, isn’t half bad either! This intimate festival in Croatia brought to you by the crews behind The Garden Festival & Team Love is set in an undiscovered, secluded paradise just a short walk from the beautiful town of Tisno the site has a truly festival feel whilst retaining the intimacy so special to all our visitors. Musically, Love International is one of the region’s strongest with Avalon Emerson, Call Super, DJ Tennis, Floating Points, Job Jobse, Shanti Celeste and many more on hand. 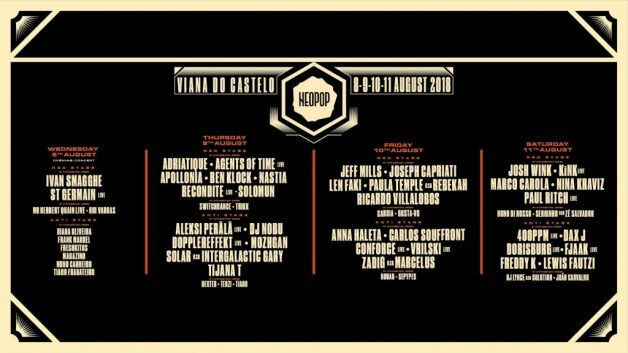 Held on the idyllic coastal town of Viana Do Castelo, Neopop, Portugal’s most respected electronic music festival will ring an extra day to its 2018 edition. Spread across four days, the bucket list festival opens on Wednesday August 8th with live sets by legendary French artists St Germain, Portuguese local Mr Herbert Quain, alongside DJ sets by Ivan Smagghe and Rui Vargas with a second stage featured DJ sets by numerous local artists. Over the course of the next three days, Neopop’s full festival lineup includes artists like Nina Kraviz, Jeff Mills, Agents Of Time, Recondite, Josh Wink, Fjaak and DAX J and more. This one’s been a DHA favorite since its inception 4 years ago, and a definitive date on our annual calendar. 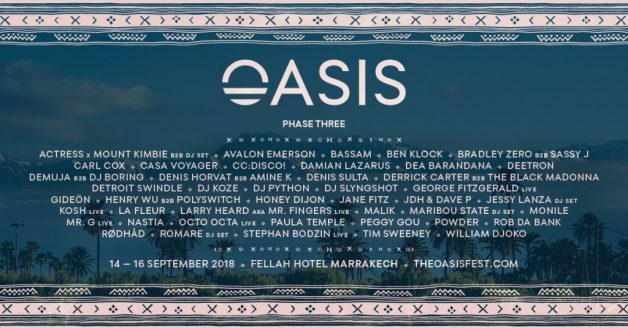 Growing from humble beginnings into a 4 day event, Oasis Festival brigs Marrakesh its smattering of underground talent with mouth watering lineups and unparalleled views. This year, the expanded lineup features Actress, Carl Cox, Denis Sulta, Honey Dijon, Octo Octa, and many more. WECANDANCE is an annual summer festival that takes place on the beach in Zeebrugge. The festival owes its unique identity to the fact that it remains true to four cornerstones (music, food, fashion and art) that are put forth towards a new theme for every edition. For those with a more discerning taste in festivals, Croatia’s Dimensions is frequently at the top of “best of” conversations. From its ancient coliseum set opening party (headlined by Kraftwerk), to its slew of famed boat parties, Dimensions, as well as Ben UFO, DJ Stingray, Helena Hauff, Hunee, Jon Hopkins, Moodymann, Palms Trax and more selectors bring the diversity. 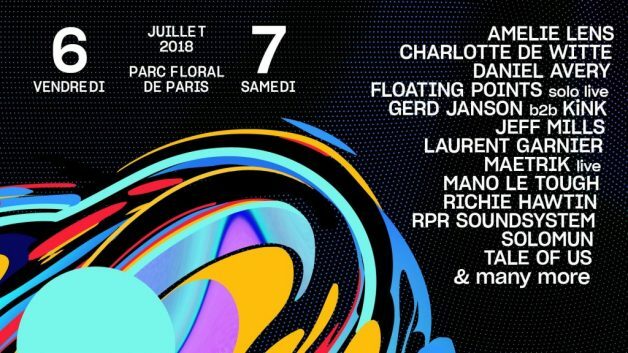 Two days of proper Parisian festival partying with more than 50 artists, stars of the European electronic scene, as well as French heroes make 2018’s The Peacock Society Festival more exciting than ever. With live shows, 3 dancefloors, trees, warehouses, Paris, and Daniel Avery, Floating Points, Jeff Mills, Mano le Tough, Maceo Plex, and more, this one’s big.